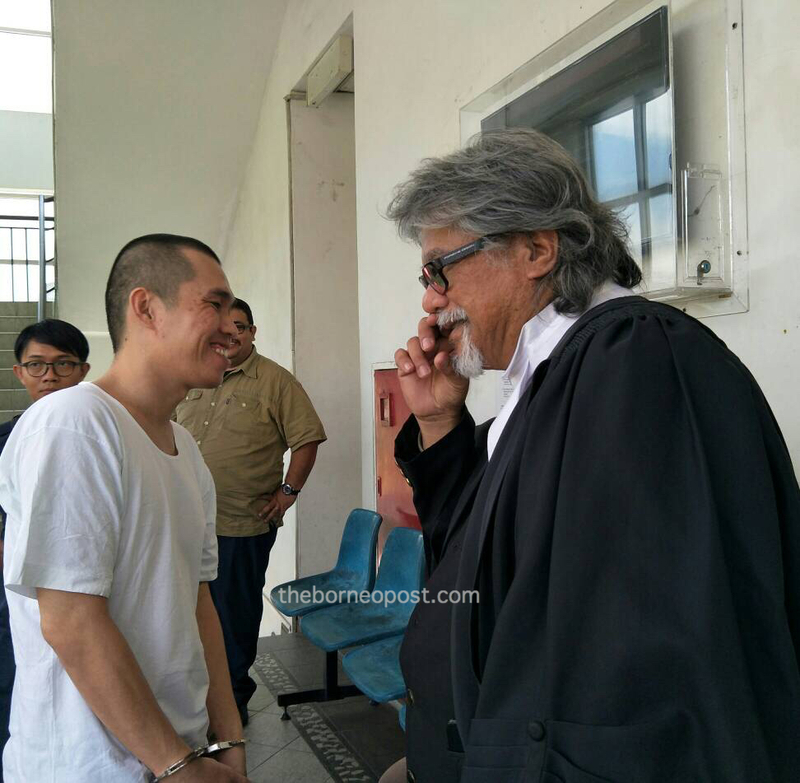 Ho (left) with his counsel Ram outside the courtroom after the decision today. KOTA KINABALU: A mechanic from Sarawak was sentenced to death by hanging for trafficking in 4,396 grams of syabu. Justice Nurchaya Hj Arshad found Ho Yee Onn, 35, guilty of the charge under Section 39B (1) (a) of the Dangerous Drugs Act 1952. The indictment carries the capital punishment, upon conviction. The accused, who hails from Miri, was convicted of trafficking in the syabu with an accomplice, who is still at large, at the arrival hall of the Kota Kinabalu International Airport here on May 21, 2016.